This fact sheet is part of the "Energy sheets" series. It explains what 'grey energy' is in a clear and simple way and illustrates this explanation with the example of a T-shirt. 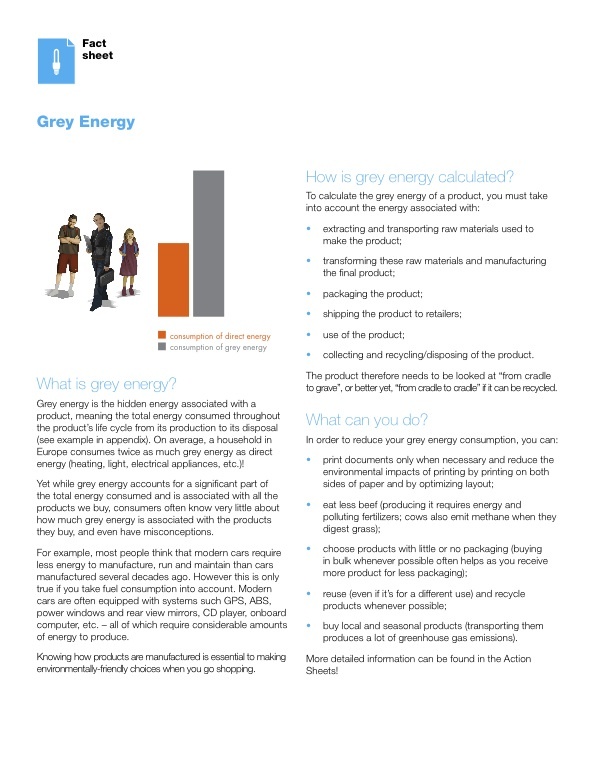 Several separate "action sheets" accompany this fact sheet and provide details on various actions that can easily be applied in our everyday life to save as much grey energy as possible.